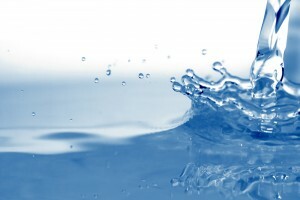 A whole house water filter can provide comprehensive protection from a wide range of waterborne impurities. If you’ve long struggled with water difficulties such as crusty buildup, foul odors, unpleasant tastes, visible suspended particles, or anything else, a point-of-entry, or POE, filtration system may be the comprehensive solution you need. POE filters install directly into your plumbing at the main water intake valve of your residence, and can therefore provide comprehensive protection for your home’s water supply. When would such a system be useful? After all, most residential water is purified at municipal treatment centers that are subject to strict standards for oversight, and is likely safe to drink. However, just because the water is clean when it leaves the treatment facility doesn’t mean it will be equally pure when it reaches your home. As the water travels through underground pipes, it can be exposed to a wide range of impurities, including iron, manganese, sediment, sulfur, and excess levels of chlorine. These impurities can make your water less than optimal and produce foul odors, unpleasant tastes, and possibly even cause health complications. In order to put an end to these water woes, it’s important to find a whole house water filter that can address all of these impurities. Ideally, you’ll want to select a product that has a proven track record, perhaps one that has been tested by multiple independent sources. For example, the Water Quality Association (WQA) is a renowned industry organization tests and certifies a wide range of water purification solutions and maintains up-to-date lists of products that are verified to perform as advertised. You’ll also want to ensure that the company in question does not only offer one type of product, but instead can tailor your new home water treatment system to your exact purification needs. In most cases, companies with a wide range of filtration options will walk you through their selection and may even perform a test of your home’s water to determine exactly which of their products you need. At RainSoft, we’ve proudly provided premium water treatment systems to homeowners throughout the world since 1953, and are proud to offer a wide variety of cutting-edge systems that are capable of addressing all of your water filtration needs. To learn more about how a RainSoft whole house water filter can help make your water better, or to schedule a complimentary in-home water test performed by one of our experienced technicians, contact us today.